Kuchisake-Onna is a first-person horror adventure game from George Constantinou, based on a Japanese myth. 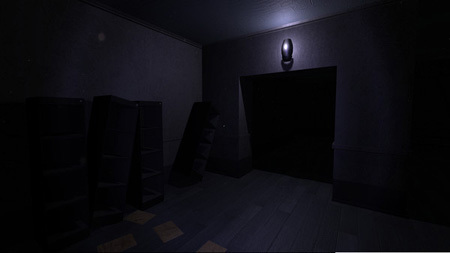 The gameplay focuses on storytelling and stealth to avoid Kuchisake-Onna or else the Slit Mouthed Woman, there are also some puzzles for the player to solve, making gameplay more various. You just woke up in a strange place, you can’t remember anything, not even your name. Ritual books and weird notes are everywhere, strange things happen all over the place and the horrific noises are driving you crazy. Yet you’re still trying to figure everything out. The game features atmospheric environment, highly intelligent enemy AI, great storytelling, and puzzles that actually make sense. If you get stuck in the game, check out the video walkthrough and gameplay for the game. This entry was posted in PC Games, Walkthrough and tagged Kuchisake Onna Cheats, Kuchisake Onna Cutscenes, Kuchisake Onna Endings, Kuchisake Onna Game, Kuchisake Onna Gameplay, Kuchisake Onna Guide, Kuchisake Onna Hints, Kuchisake Onna Jumpscares, Kuchisake Onna Review, Kuchisake Onna Solutions, Kuchisake Onna Strategy, Kuchisake Onna Tips, Kuchisake Onna Walkthrough by Marvin. Bookmark the permalink.